Jessika was born on February 27, 1989, and is a Maltese singer-songwriter and actress. 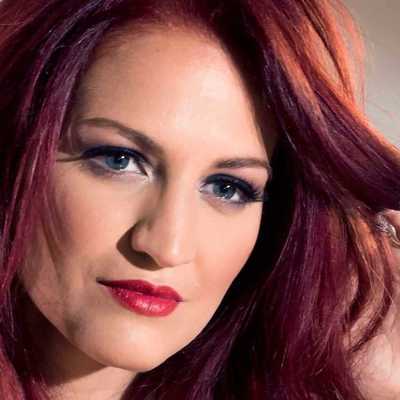 She was discovered on Malta national television in 2008 during the Malta Song for Europe Festival, "Tangled", her debut song, hit the airwaves some weeks later followed by "Sweet Temptation", which placed 2nd in the Malta Hit Song Festival. In June 2009 Jessika went on tour in England. She started her first debut gig at Roger Courtney’s open mike music club in Portsmouth. Her repertoire was so impressive that she was asked to perform again in the same pub a week later and offers to do other gigs began rolling in. In the summer of 2009, she signed a 10-day vocal program camp in Hollywood. Her journey started in Millbrae where Jessika gave her first performance only one day after landing in the United States. Shortly afterward she headed down to Los Angeles for an intensive vocal training programme with leading vocal coach Seth Riggs after having been accepted into Riggs’ Speech Level Singing programme. Riggs has worked with some of the world’s top artists, including Faith Hill, Ricky Martin, Michael Bolton, Kelly Clarkson and many more. During the camp, Jessika learned about other aspects of the music industry namely marketing and networking strategies. After completing her training, Jessika carried on to her next commitment, where she gave a live performance in popular Anaheim, which is located exactly next to the world-famous Disneyland. In 2010 Jessika graduated in B.A. Communications and Hispanic Studies from the University of Malta and precisely one year later she once more managed to make it to the finals of the Malta Eurovision Song Contest with the song "Down Down Down" penned by herself music composed by Philip Vella. Jessika's songs "Love is a Fire" and "Dance Romance" made it to the Maltese national selection for the Eurovision Song Contest in 2012. 2013 saw Jessika’s return with a bang. Teaming up with the writers who managed to bring Malta the first 2nd place in Eurovision – Philip Vella and Gerard James Borg – she added a dynamite writer to her arsenal – Thomas G: son. The Swedish songwriter, who wrote Loreen’s 2012 Eurovision Song Contest winner "Euphoria", joined forces with Borg and Vella to create the song "Ultraviolet", which Jessika performed in the Malta Eurovision final and placed 4th in the public vote. In 2014 Jessika teamed up again with Philip Vella and Gerard James Borg to create the song "Hypnotica", which won the TVM award and placed 1st in the public vote. Jessika again took part in the 2014/2015 edition of the MESC for the 5th time in a row with "Fandago", which was again written by Gerard James Borg and Philip Vella and placed 4th in public vote. In 2016 Jessika teamed up again with Philip Vella and Gerard James Borg to create the song "The Flame", which placed 7th overall. Jessika participated in the 25th edition of International Discovery Festival which took place in Varna, Bulgaria in May 2017. Jessika won the 2nd prize for Best Performer and the judges voted her the best female voice of the contest. Jessika sang a cover version of Emeli Sande's "Clown" and her original song "Hypnotica".